The aim of the present study is to investigate the impact of glyphosate on the microbiota and on the botulinum neurotoxin (BoNT) expression during in vitro ruminal fermentation. This study was conducted using two DAISYII-incubators with four ventilated incubation vessels filled with rumen fluid of a 4-year-old non-lactating Holstein–Friesian cow. Two hundred milliliter rumen fluid and 800 ml buffer solution were used with six filter bags containing 500 mg concentrated feed or crude fiber-enriched diet. Final concentrations of 0, 1, 10, and 100 µg/ml of glyphosate in the diluted rumen fluids were added and incubated under CO2-aerated conditions for 48 h. The protozoal population was analyzed microscopically and the ruminal flora was characterized using the fluorescence in situ hybridization technique. Clostridium botulinum and BoNT were quantified using most probable number and ELISA, respectively. 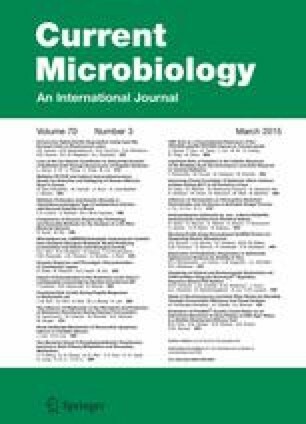 Results showed that glyphosate had an inhibitory effect on select groups of the ruminal microbiota, but increased the population of pathogenic species. The BoNT was produced during incubation when inoculum was treated with high doses of glyphosate. In conclusion, glyphosate causes dysbiosis which favors the production of BoNT in the rumen. The global regulations restrictions for the use of glyphosate should be re-evaluated.